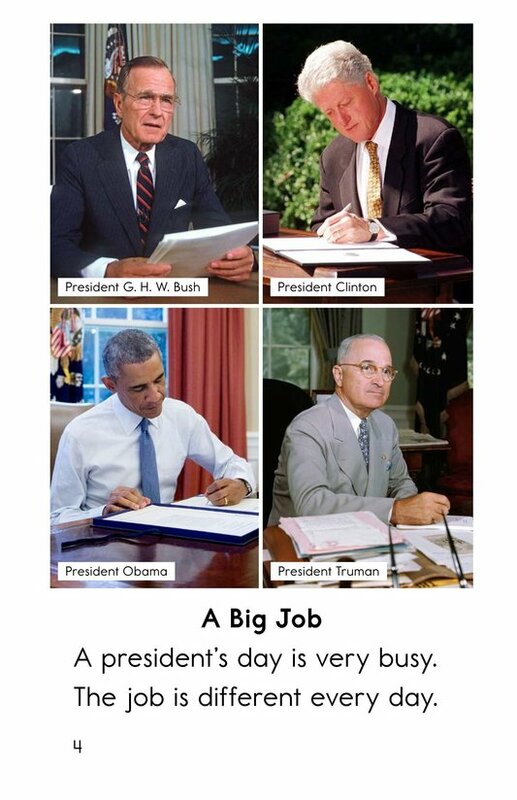 The President of the United States has a very important job. 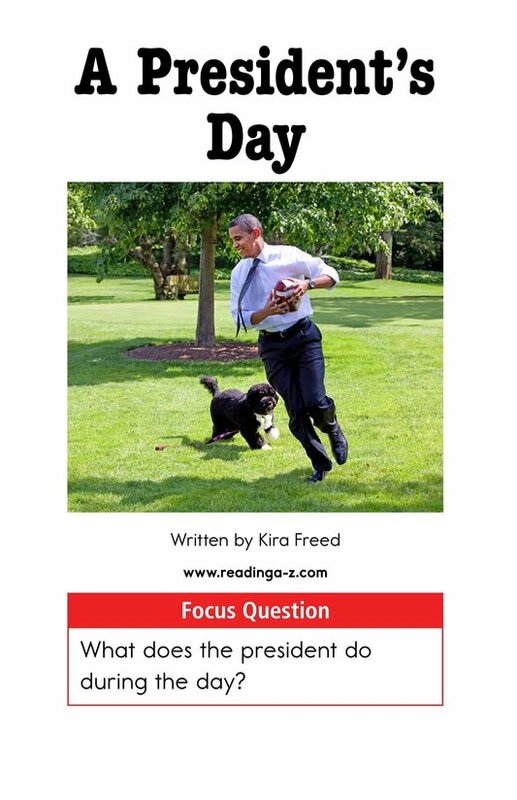 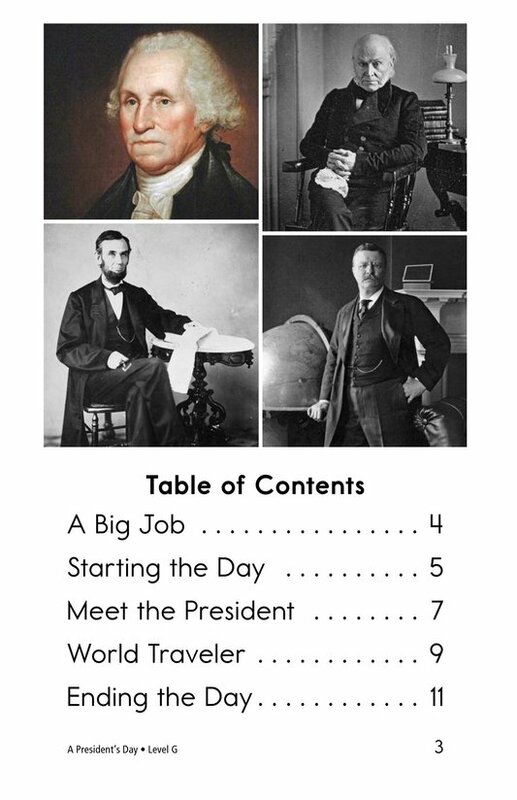 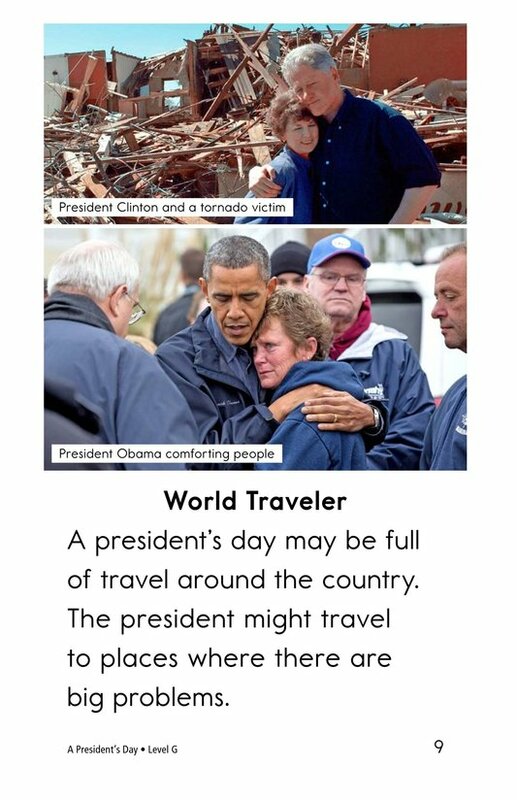 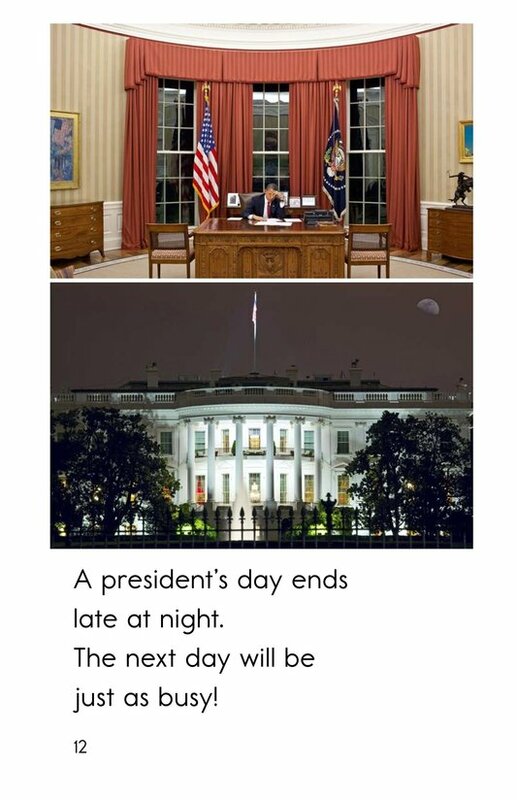 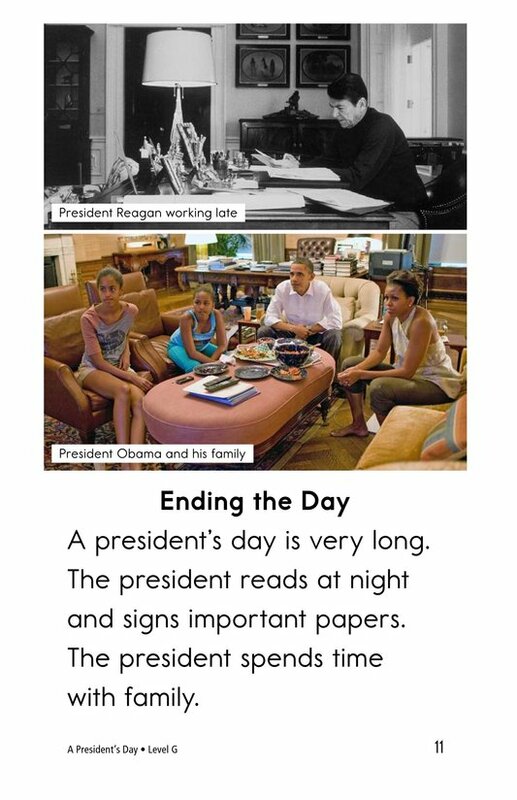 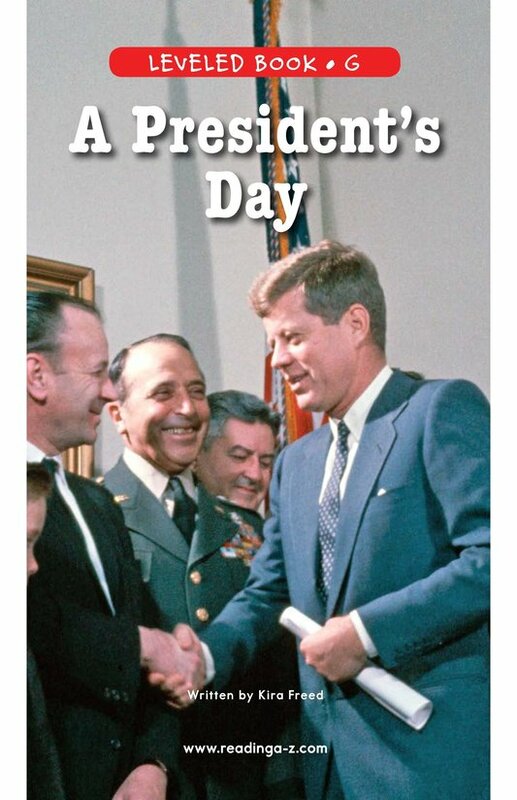 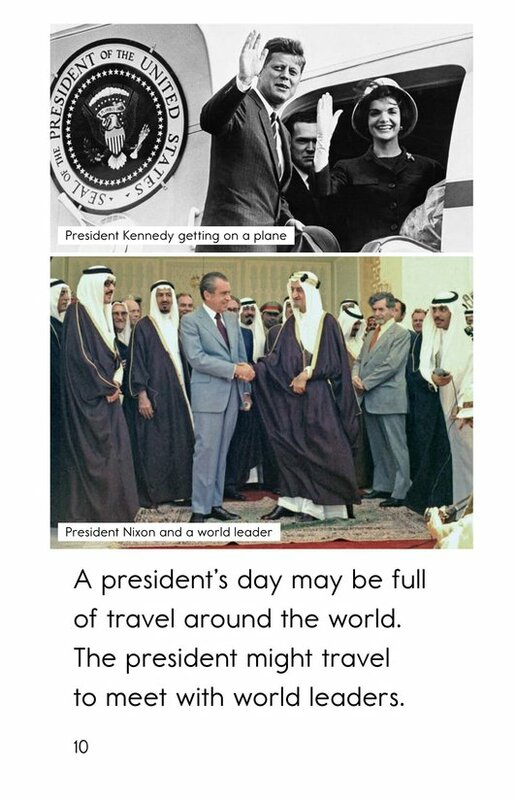 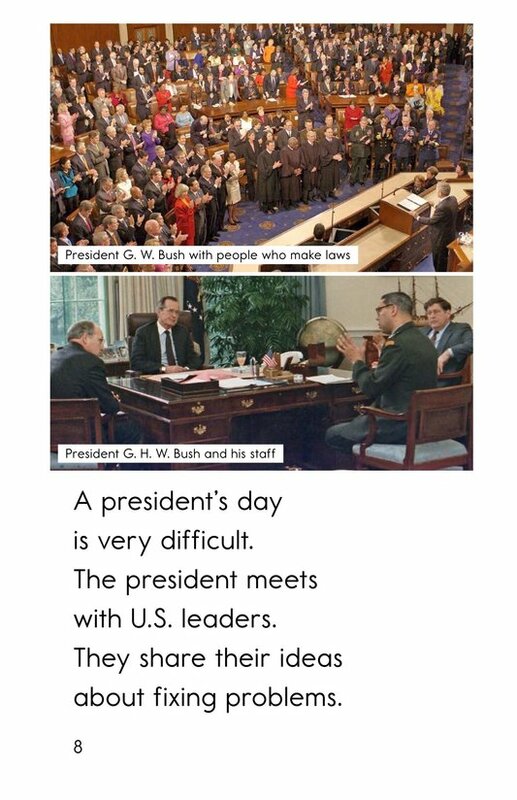 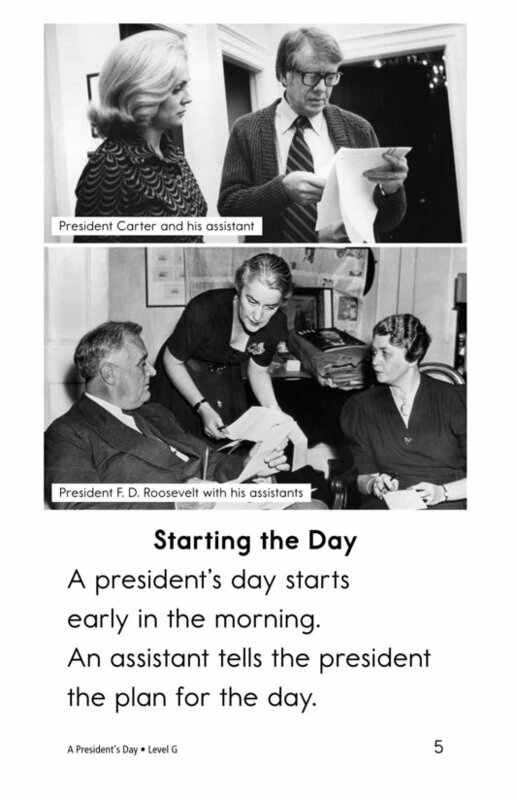 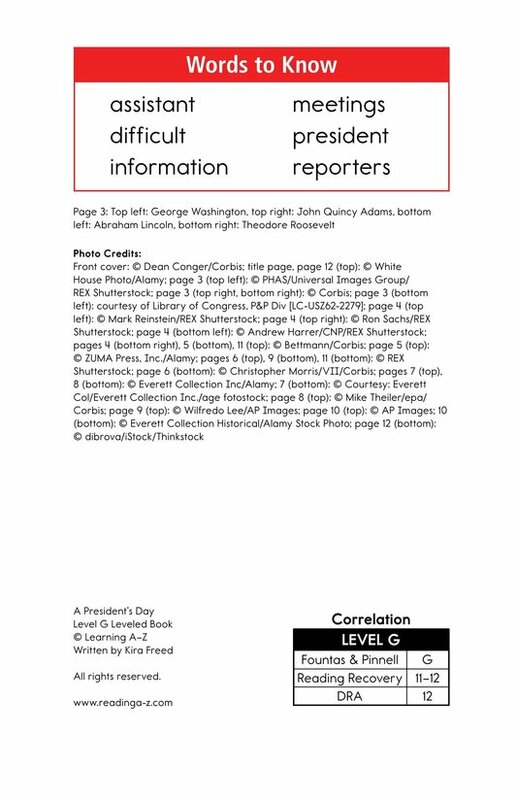 A President's Day takes the reader inside a typical day for the leader of the country, from sunup to sundown. 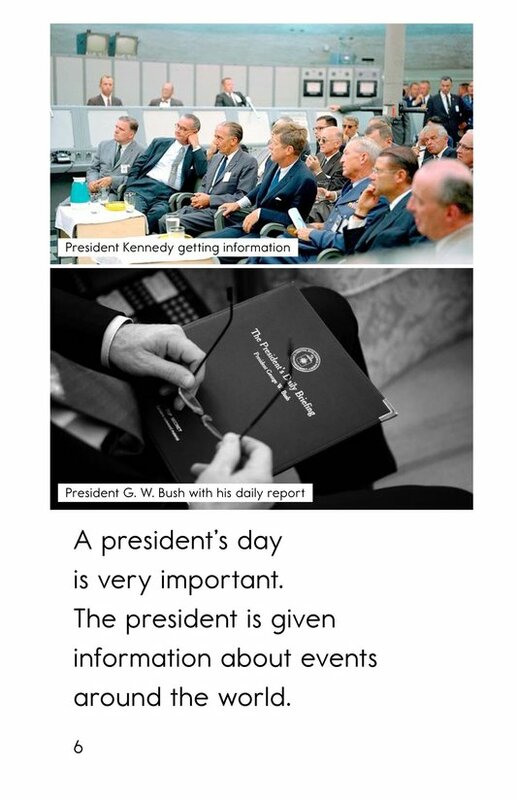 Detailed photographs and high-frequency words support beginning readers. 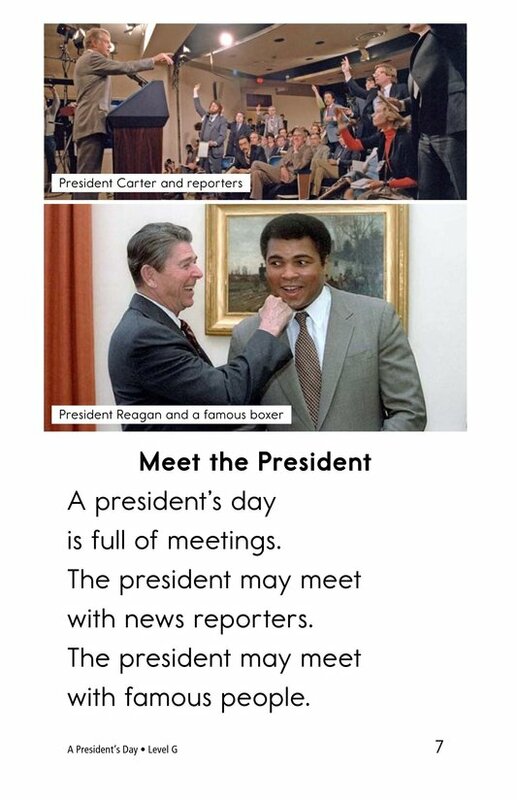 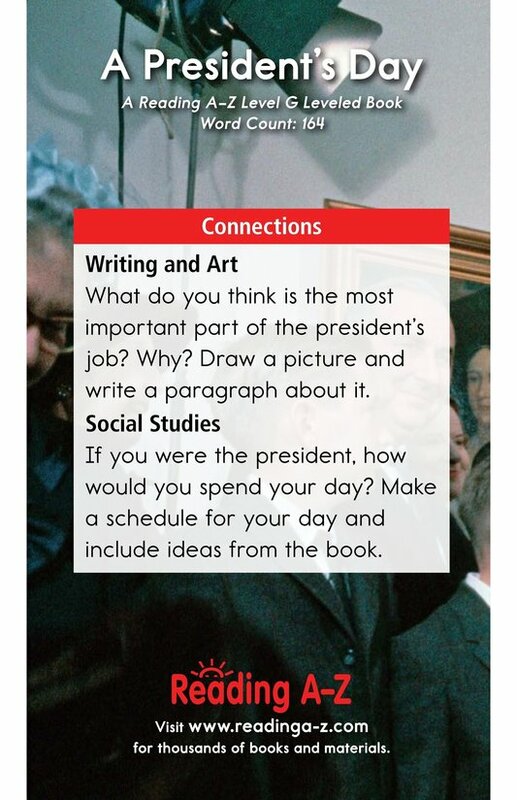 The book can also be used to teach students how to compare and contrast details, as well as the proper use of possessive nouns.